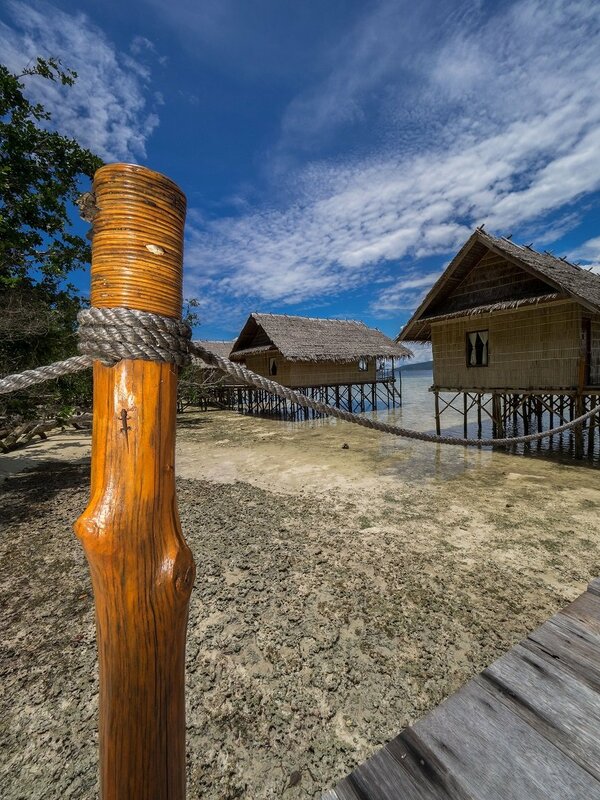 A view of our water bungalows in our resort in Raja Ampat. Can you spot the tiny gekko? The photo was taken by David and Melanie Benz during their visit at Papua Explorers Dive Resort.